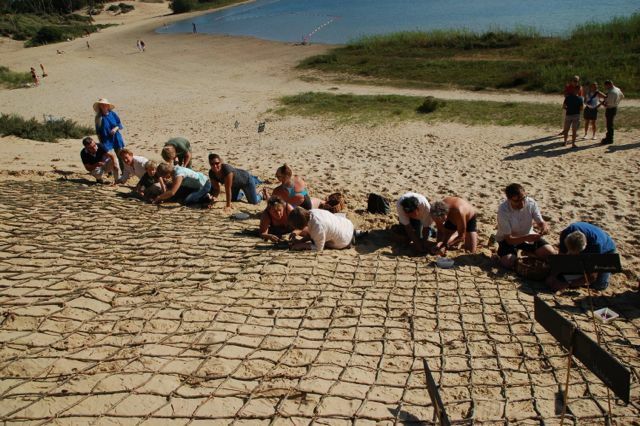 The Astonished Dune (Dutch: Verwonderd Duin) is an art trail in the dunes. 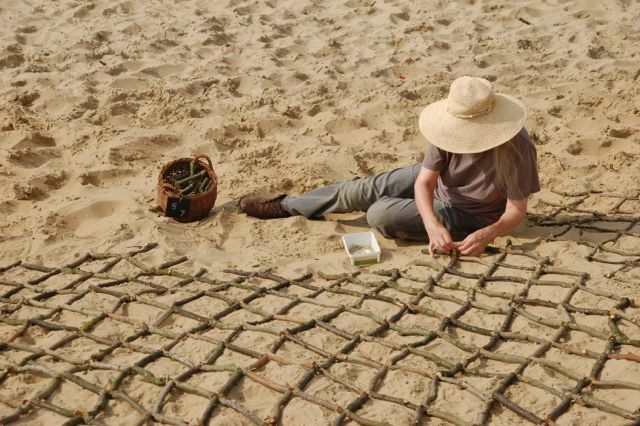 I was inspired by the dunes and a painting by Vincent van Gogh ‘Women Repairing Nets in the Dunes’ (Dutch: Nettenboetsters in de duinen). 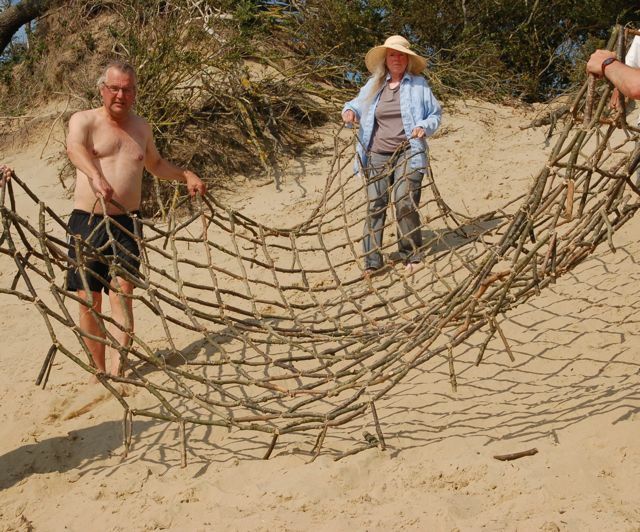 I knitted a fisherman’s net with wood branches with visitors on a dune next to the lake called the Wed. It was a work which I had made earlier in Norway. 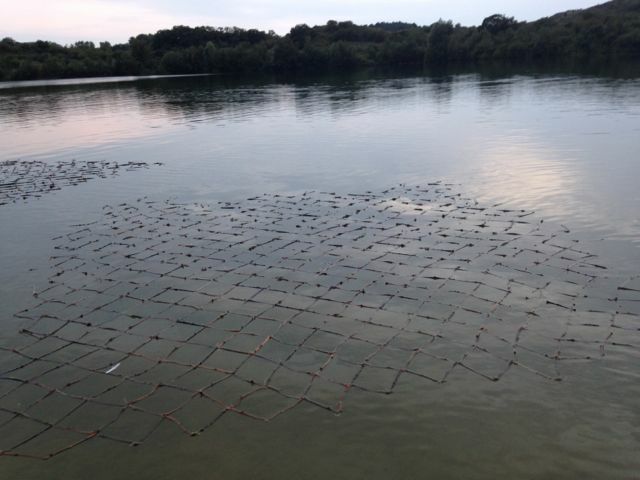 It turned out to be a meditative activity. Commission Drinking water company PWN.CuratorsArtistic directors Marianne Narold and Tineke Feijen. 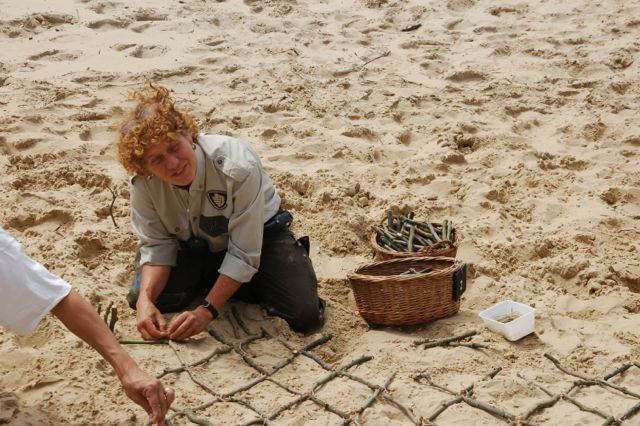 Thanks to ranger Ina Roels and the volunteers: Saskia Boot, Urs Hasenberg, Lieke van Hoogenhuyze, Bernadette van der Louw, Cora Miltenburg, Elly Overman, Sylvia van Steenis, Renate Schwarz, Hatice Tumer, Bill Wei. 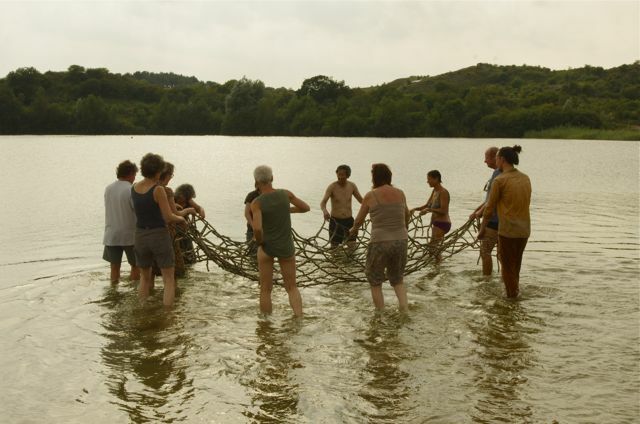 Language note: The word “boeten” in Dutch has both an historical meaning of repairing a net, and the meaning of atoning for one’s sins.